Just 3 easy steps to bring your idea to life, presented by CIBA with Infinyt3D. Be it a toy or a tool, a School project or a work challenge, a house or the furniture inside the house, 3D Printing makes it simply simple! ▪You have a good idea and want to try it out. 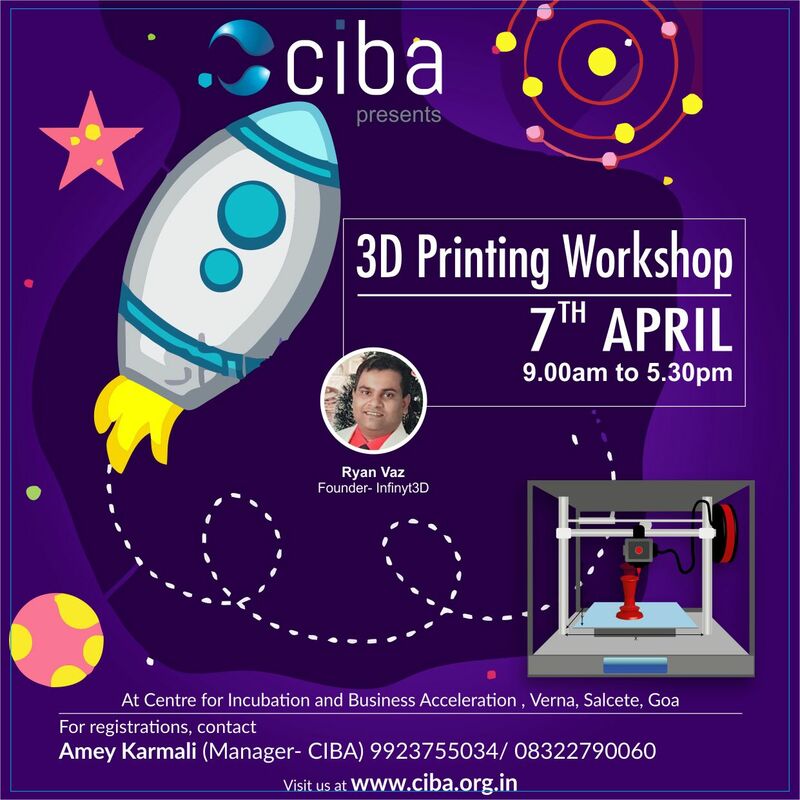 Do not miss it, on 7th April 2018, from 9:30am to 5:30pm @ CIBA , Verna. Limited seating against prior booking only.